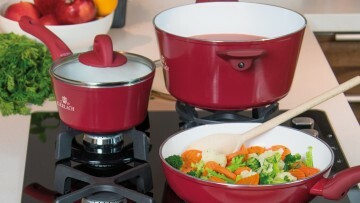 Healthy cooking at lower temperatures with a minimal amount of fat – these are the main advantages of the Harmony line. 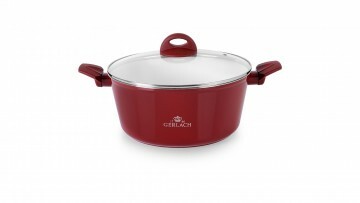 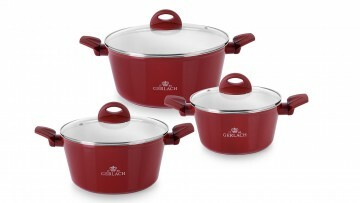 The pot is perfect for those who cherish wholesome meals and a healthy, low-calorie diet. 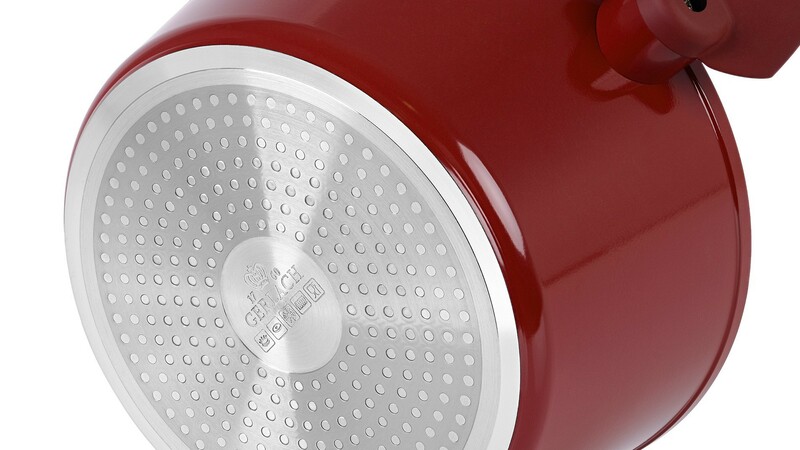 The non-stick ceramic coating is safe and does not contain harmful substances. Harmony is also characterised by stylish design and the original colour scheme of the cookware, which will invigorate the look of your kitchen. The Harmony pot conducts heat perfectly due to its aluminium construction. The two-layer ceramic coating ILAG ® Non-Stick Ceramic that is utilised in the pots allows for cooking at lower temperatures, with a minimal amount of fat, and prevents food from sticking to the pot. Harmony line products are resistant to deformation, high temperature, scratches and abrasion. The coating is made of the highest quality materials that guarantee health and safety and make it easier to keep the pot clean. 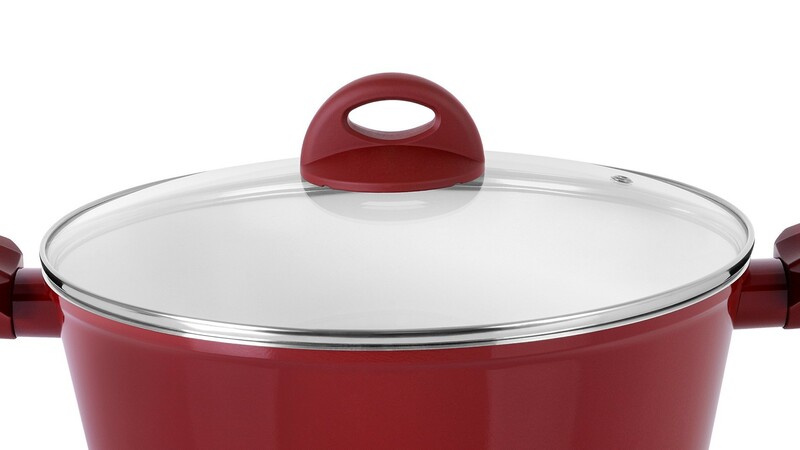 A smooth two-layer bottom enables the pot to be used on all types of cookers, whether electric, gas, ceramic or induction. 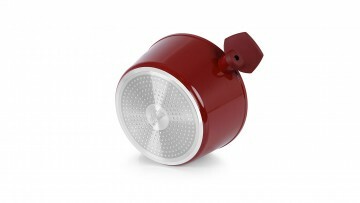 The Harmony line is equipped with tempered glass lids which are resistant to high temperatures. 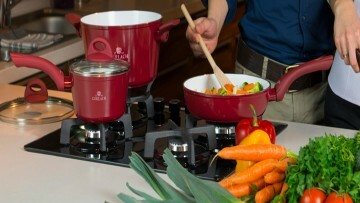 The excellent fit and hermetic pot closure allows the meal to be evenly heated and the water does not leak out with the loss of valuable nutrients. Thanks to special ventilation holes, the excess water vapour in the pot is reduced. 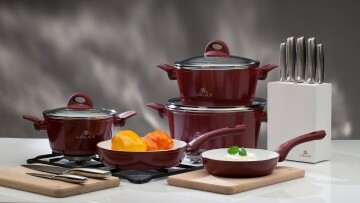 The non-slip handles provide comfort of use.